With the help of our experienced team of engineers, we design and manufacture a comprehensive range of hydraulic power packs that are used in various industrial applications. Fabricated using cutting edge technology, these are high on durability and sturdiness. We provide these power packs and valve stands in various specifications and also custom-made to suit different applications. 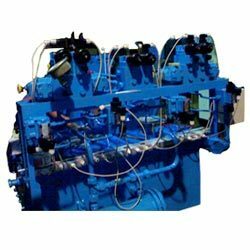 Hydraulic equipment and technology is something that we are all at least passing familiar with. 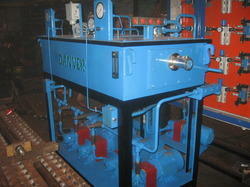 If we think about it, we know that the principles of hydraulics are applied to make many common machines work. For example hydraulics are used in agricultural equipment, giant earth moving and mining machines, they are used to steer and stabilize giant ocean liners, help airplanes climb and turn, and make the brakes in our cars work. So hydraulics can provide great force, are obviously very adaptable and used in all kinds of applications. Our HYDRAULIC POWER PACKS are designed and manufactured in-house using the latest design and manufacturing technology, this enables us to be competitive in the world market. 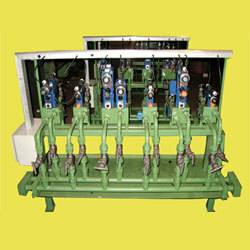 hydraulics are applied to make many common machines work. For example hydraulics are used in agricultural equipment, giant earth moving and mining machines, they are used to steer and stabilize giant ocean liners, help airplanes climb and turn, and make the brakes in our cars work. So hydraulics can provide great force, are obviously very adaptable and used in all kinds of applications. Electrode Slipping and Hoisting for Ferro alloy. We have in store for our clients, an extensive array of power packs with control panel that is supplemented with various specifications. Custom-made for different applications, these power packs with control panels are high on durability and sturdiness. Control: Manually/ Electro-Hydraulically / Electrical. We offer a wide assortment of valve stands that are manufactured using premium quality raw material. 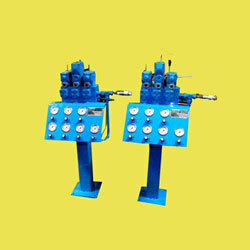 Fabricated using cutting edge technology, these valve stands are used in different industrial applications. 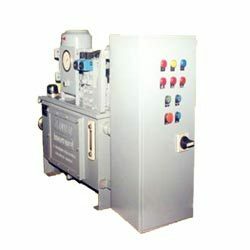 Available in varied specifications, these can also be tailor made as per requirement of the clients. 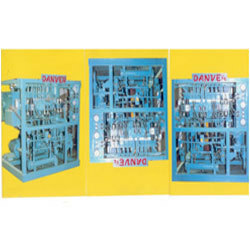 Our expertise enable us to manufacture a range of valve stand for HRC plant, that cater to the requirements of various industries. Made using high grade raw material, these valve stands are appreciated for their precise dimensions, corrosion resistance and long life. 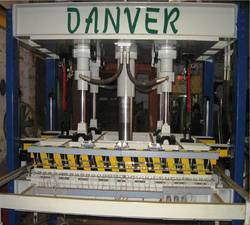 Further, our range is strictly tested on quality parameters in order to ensure a flawless range to our clients. Looking for Hydraulic Power Packs & Valve Stands ?